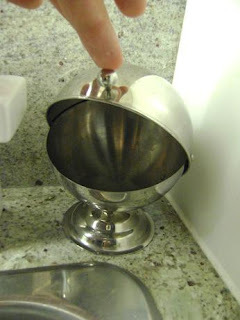 Sir Thrift A lot: life is an ashtray. Thanks! It is cute, isn't it? Star Wars wrapping paper kewl. wow little man soap dispenser is soooooo cute! omg I LOVE IT! Love the soap dispenser. So cute. 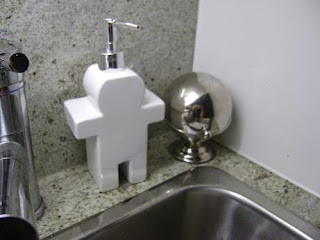 I like the little man soap dispensor. You really know how to spot those bargains! 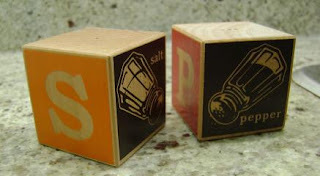 Yeah the soap despenser is cute and all but...look at those satl & pepper shakers!! I am officially jealous.